Banana Bread, again? you ask. Fair enough. 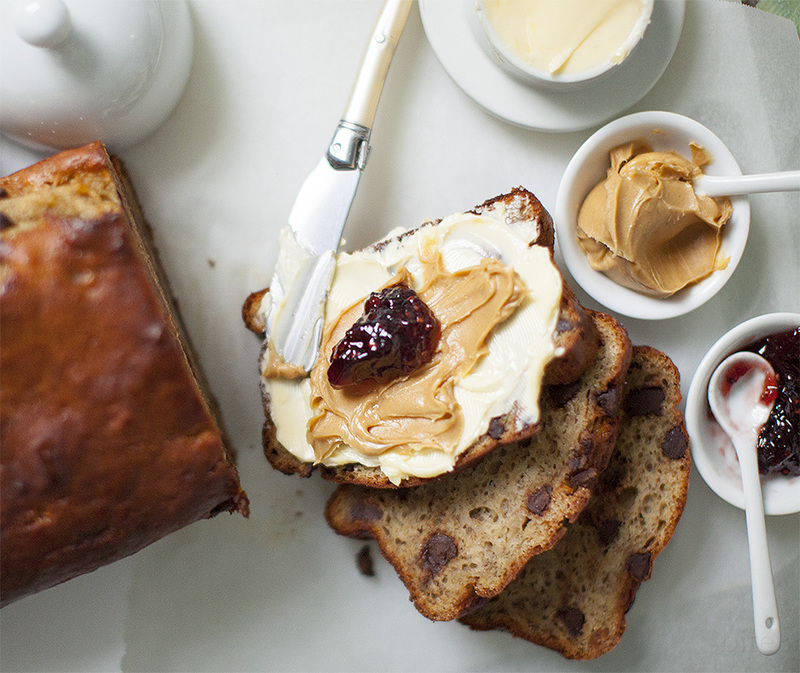 I have written more posts about Banana Bread than anything else because I always have ripe bananas in my freezer. Once our bananas reach a certain brown speckles to yellow skin ratio into the freezer they go. When I have enough, I whip up a Banana treat. Occasionally, I’ll bake muffins sometimes a cake but as my repetitive posts reveal, most often a bread. 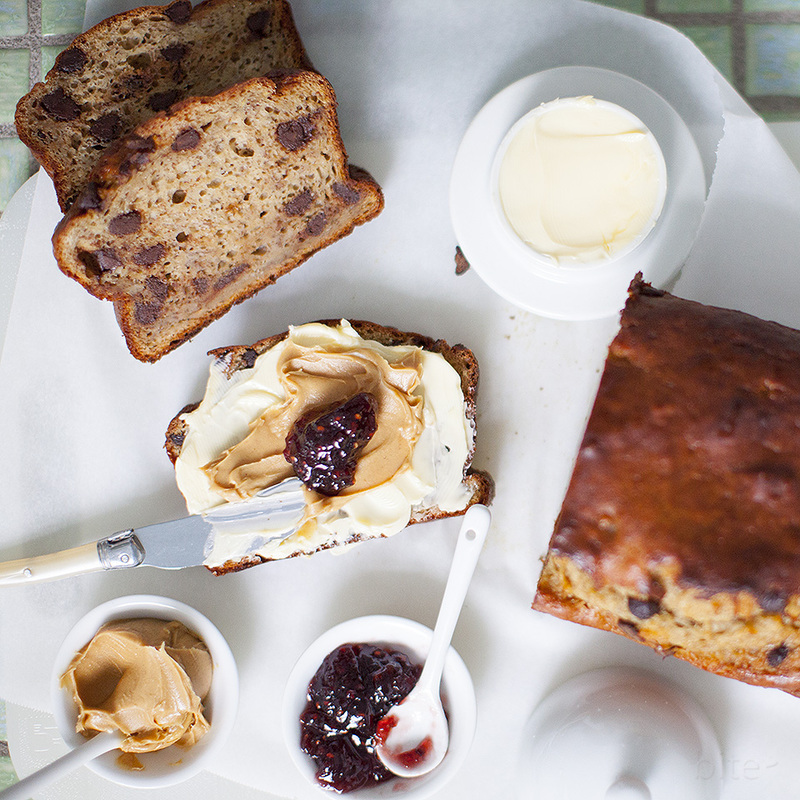 Something else my banana bread diatribe proves is how many ways you can make banana bread. 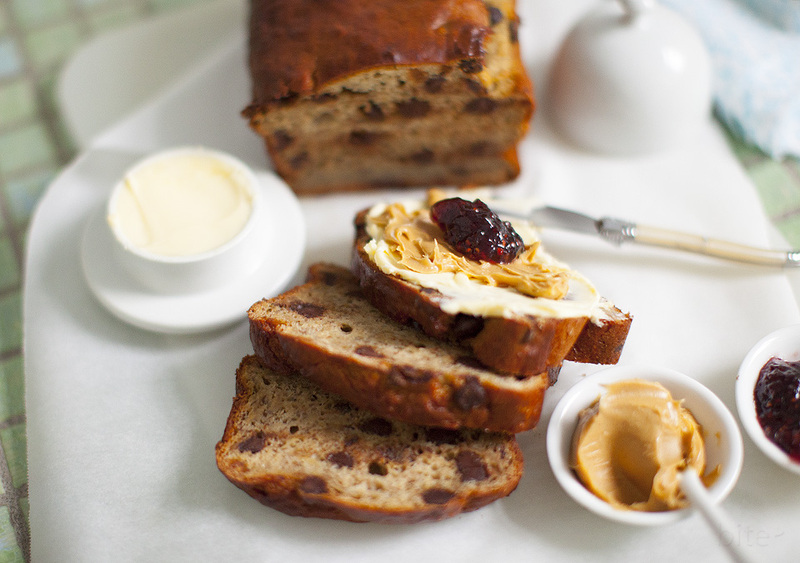 I like my Banana Bread to be rich which is why I used a combination of butter and yogurt. Ripe bananas are already sweet, but I want just a bit more with a caramel overtone, hence the brown sugar. Finally, it has to have a bit of chocolate. I used semi-sweet chocolate chips. You can substitiute dark chocolate chips or chunks of chocolate. You decide. Grease a 9×5″ loaf pan with spray release and line with parchment paper. Place bananas, butter, brown sugar, yogurt, and vanilla in a medium bowl. Sift together flour, baking powder, baking soda, and salt in an another bowl. Using an electric mixer, beat banana mixture on low speed until well combined, about 1 minute. Add eggs one at a time and beat on medium speed until fully combined, about 1 minute each. Add dry ingredients in 2 batches, beating on low after each addition and scraping down sides of bowl if necessary, until no flour is showing. Bake until top is dark golden brown and cracked, sides will pull away from pan edges. A tester inserted into center of bread should come out clean, 65-70 minutes. Remove bread from pan and continue to cool on a rack. 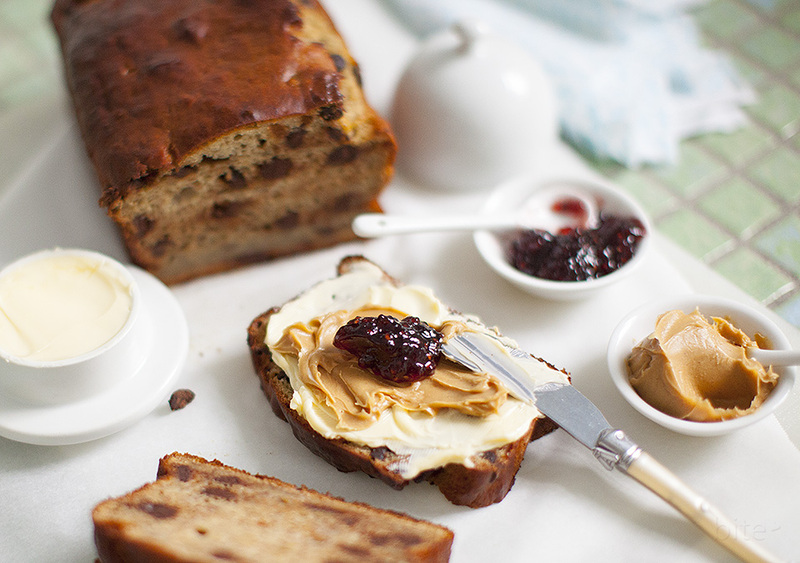 THE LOVE: Try this BANANA BREAD with a slab of butter, a smear of peanut butter or a plop of jam. Better yet, try it with all three! This entry was posted in quick breads and muffins and tagged banana bread, bread, breakfast, fruit, ripe bananas by Michelle. Bookmark the permalink.